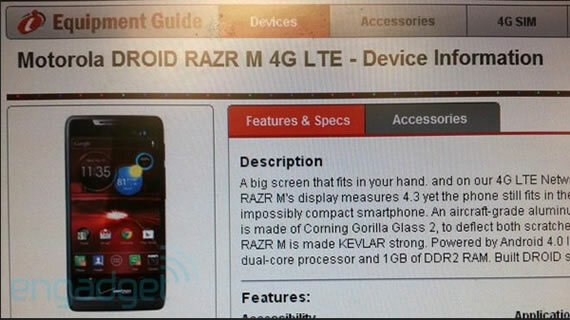 Motorola RAZR M 4G LTE specifications and pictures leaked online, Engadget posted the specs and pictures. 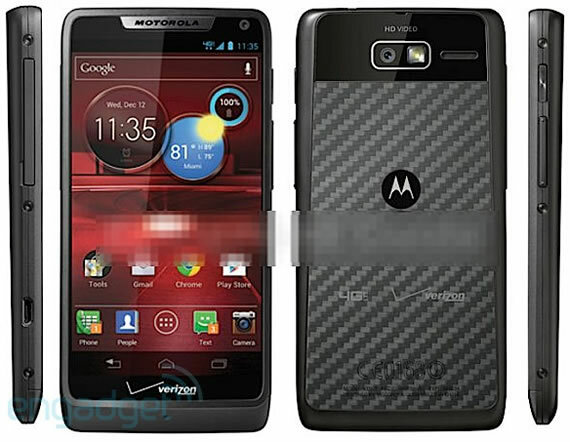 Motorola RAZR M is the upcoming smartphone from Motorola that runs on Android IceCream Sandwich operating system. It will launch with the customized version of Android from Motorola, the phone doesn’t have any hardware buttons, but it will launch with the virtual soft keys on the bottom of the screen, like the Motorola Atrix HD and Photon Q 4G LTE . Dubbed as Droid RAZR M 4G LTE is powered by a 1.5GHz dual-core dual-core MSM8960 Snapdragon S4 processor, 1GB RAM. It has a qHD Super AMOLED Advanced display at a resolution of 960 x 540 pixels. Other specifications of the phone include a 8 megapixel rear camera capable of taking 1080p video, a 3 megapixel front camera, 8Gb internal storage with a micro SD slot for expansion. The connectivity options include USB, 4G LTE connectivity, Wi-Fi, Bluetooth, NFC. Motorola is hosting a press event on September 5th, Motorola is expected to launch this phone at that time. This phone is supposed to be exclusive to Verizon customers in the US.